Won't You Be Mine, Velentine? Most theaters in this country are playing the movie "Valentine's Day" right now. It has EVERYONE in it (which makes it most likely a horrible flick IMHO. Too many giant Hollywood egos makes for bad bad bad movies!) 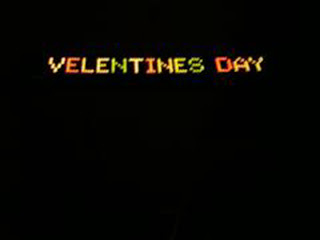 Hayden Cinema 6, though, is featuring "Velentines Day".... the must smaller feature with no one speical in it. I finally decided to change the winter holiday theme on Firefox and was pleasantly surprised to find a Spelling Disaster staring right at me! We can add Chistmas to previous SDs of that December holiday: Chrsitmas Club and Chrsitmas Elf Yourself. 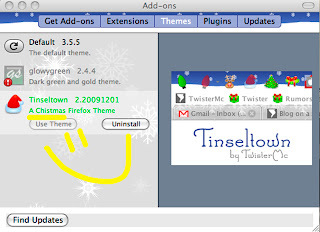 And don't be getting on my case about waiting until February to change the Christmas browser theme! That's not nearly as bad as waiting until February to take down the tree!! Let's see... 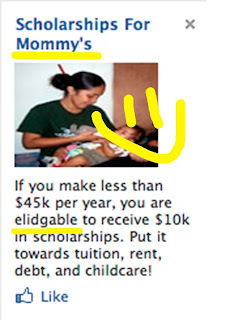 I'm unemployed so I make less than $45k per year and I'm a Mommy so I must be elidgable to receive $10k in scholarships! All Mommy's should click on this Facebook ad to get the money's they are elidgable for. How many assistants does it take at Hancock Fabrics in Hayden, Idaho to cut a small sample of decorator fabric? And why does it take multiple assistants to do that small task? 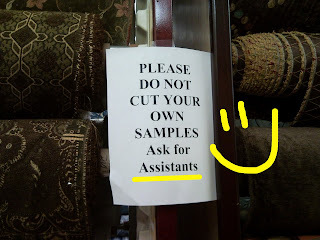 Maybe the assistants are just there for assistance while you cut your own sample. Yep. I do believe that is what happens. 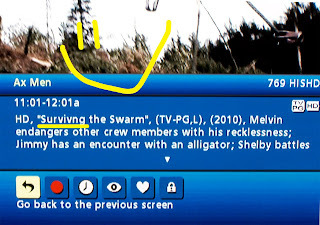 What is it with the spelling of the word "surviving" that seems to stump people? First we had Suviving, then there was Suvival, now it's Survivng! This Spelling Disaster was spotted last night during a showing of Ax Men. 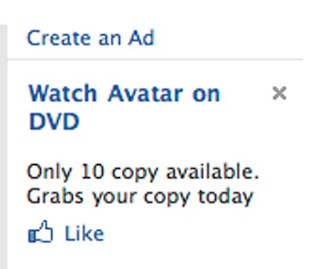 Hmmmmm..... Avatar is not available on DVD so there must be some illegal finagling going on with this Facebook ad spotted just minutes ago. Aside from the probability that the 10 copy available are most likely bootlegged, the grammar and iffy spelling certainly deserve some jail time. Way to go Facebook!! Way to review ads being presented through your site! To spread the word of warning! 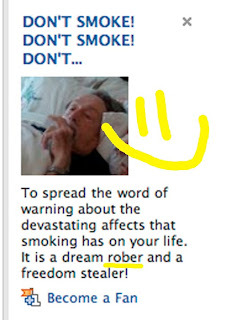 Smoking will put a robe on your dreams!! That is devastating to all the naked dreamers out there and a good reason to quit or not start at all. Cadury... isn't that the company that has the bunny saying "moo"??? 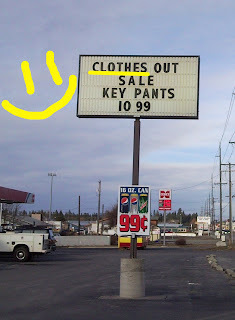 I spotted this sign last night at the Rite Aid in Hayden, ID. Didn't take a pic then (because it didn't hit me until the middle of the night that I had seen a Spelling Disaster. Don't you hate that??) 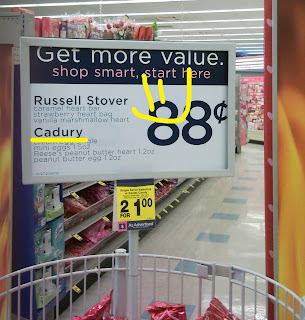 so I stopped at the Rite Aid in Coeur d'Alene, ID today to see if they had the same sign. Thank god for Corporate America 'cause they sure did!! I wonder if they've lost their co-op dollars on this. I've heard that Cadbury bunny can be a real bear!! 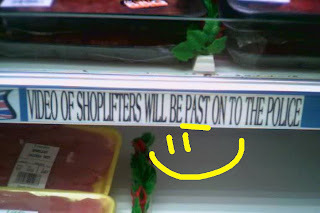 Apparently this supermarket in Birmingham, UK will make sure shoplifter videos are past to the police. This makes my brain hurt. I think I'm passed being amused by this. Thanks again to Eddie for sharing this Spelling Disaster! 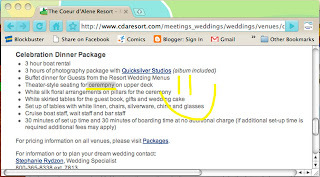 The Coeur d'Alene Resort's cruise boats are a really nice venue for a wedding cerempny. Who wouldn't love to have their cerempny out on beautiful Lake Coeur d'Alene? You, too, can be a Glamerous One with Carribean hair design! Just head to Birmingham, UK where Eddie captured this Disastrously spelled hair salon sign. I've been searching the web for a good example of glamerous Carribean hair but, alas, all I can find is glamorous Caribbean hair. Why Google, WHY do you not cooperate with me when I need you??!!?? Thanks to Eddie for sharing this totally glam find with us! At Least it's Not Clothes Off! Ring Ring... "Hello?" "Hi Mom! How do you spell 'Close Out Sale'?" "What? You're in college!! You know how to spell 'Close Out Sale'!!" "Yeah, I know. But I'm on Government in front of one of the many Farm and Feed stores, the one by the gas station and hot dog stand, and they spelled it 'C-L-O-T-H-E-S '. Do you think that's a Spelling Disaster?? They are advertising pants." 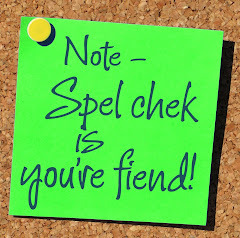 "Um, I'm going to have to say SPELLING DISASTER! Get a pic for me, okay?" So the debate begins. Is the Farm & Feed store trying to be cute with their use of the wrong word? Or is it just a plain ol' Spelling Disaster? Discuss. Thanks to the daughter for catching this one! It was a clothes one!